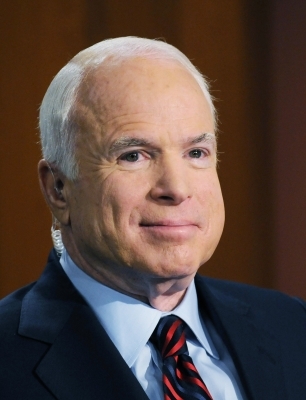 Phoenix [United States], Nov. 9 : Surviving one of the most bruising election seasons of his long political career, Senator John McCain has secured a sixth term for representing Arizona in Washington by fending off a challenge from his Democratic rival, Representative Ann Kirkpatrick. McCain, 80, weathered a revolt from within the Republican Party as he found himself in an awkward relationship with Donald J. Trump, who last year had mocked his military service and years as a prisoner of war in Vietnam, saying: "He was a war hero because he was captured. I like people who weren't captured," reports the New York Times. New York, Aug 19 - Republican Senator John McCain recently set the crowd roaring when he took to stage and showed off his robot dance moves with actor Jamie Foxx. It was after Gov. Chris Christie danced with Foxx and The Roots at a Hamptons benefit held at Ron Perelman's East Hampton estate, that McCain decided to flaunt some moves of his own, the New York Post reported. Washington - A top American lawmaker has said Prime Minister Narendra Modi wants to focus India-US partnership on an ambitious strategic agenda. 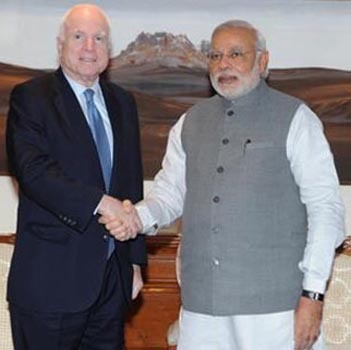 "It was my clear impression from meeting with the prime minister that he wants to focus our partnership on an ambitious strategic agenda," said Senator John McCain, who recently met Modi. "That was certainly the impression we had as well in our conversation," Assistant Secretary of State for South and Central Asia Nisha Desai Biswal said in response. A few days after McCain's meeting, Biswal accompanied Deputy Secretary of State William Burns to meet Modi in New Delhi this month. Washington: Senior Republican Senator John McCain has joined the group of lawmakers urging Congressional leadership to invite India's Prime Minister Narendra Modi to address a joint session of the US Congress. 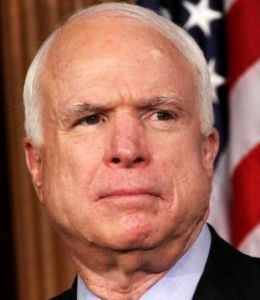 "When the Prime Minister comes to Washington, I urge our congressional leaders to invite him to address a joint session of Congress," McCain said in a major speech on India at the Senate yesterday. The Arizona Senator is travelling to India next week to meet Modi and his national security team. Last week, two top American lawmakers had urged the Speaker of the US House of Representatives John Boehner to invite Modi to address a joint session of the US Congress. Washington, Feb 5 : US Senator John McCain drew a cascade of criticism Monday over an incendiary tweet in which he compared Iranian President Mahmoud Ahmadinejad to a monkey. "So Ahmadinejad wants to be first Iranian in space - wasn't he just there last week?" McCain, a relentlessly vocal critic of the Iranian leader, wrote on his Twitter feed Monday morning. In the tweet, McCain provided a link to a Reuters article headlined "Iran Launches Monkey Into Space, Showing Missile Progress". Washington, Nov 26 : US Senator John McCain has said that the Obama administration should aggressively rebuke Egyptian President Mohamed Morsi for a decree that grants him absolute powers. According to Politico, the Republican senator framed the issue in terms of American taxes and American aid to the country. Washington, Nov 19 : American senator John McCain has criticized President Barack Obama's handling of the Israeli-Palestinian crisis and called for a `high-ranking' official to lead negotiations. He suggested that former President Bill Clinton must be sent to the Middle East to negotiate peace. "I would find someone even as high-ranking, frankly, as former president Bill Clinton to go and be the negotiator," CBS News quoted McCain, as saying. "We need a person of enormous prestige and influence to have these parties sit down together as an honest broker," he added. Washington, Sept. 17 : Republican leaders said that the Obama administration's foreign policy of `disengagement' in the Middle East led to the attacks on U. S. posts in the region. Michigan Republican Mike Rogers and Arizona Senator John McCain said that President Barack Obama is pulling troops out of Afghanistan and Iraq, while has offered less than total support to Israel's effort to stop Iran from acquiring nuclear weapons, has left an exploitable void in the region. 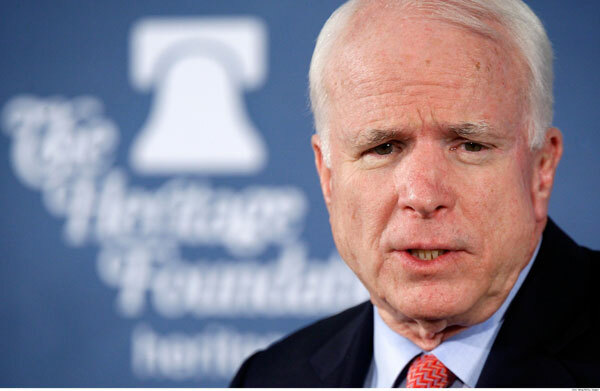 Washington, Sept 15 : US Republican Senator John McCain has claimed that the recent strike on U. S. diplomats in Libya was a `terrorist attack' and not just a protest spun out of control. Arizona senator McCain said it''s hard to know what exactly took place, but stressed that it was not a mob but a calculated act by a small group. According to Fox News, he called the perpetrators of the attack `terrorists'. 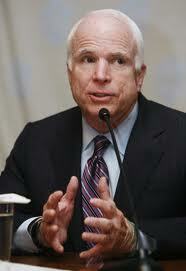 McCain's comments came after House Intelligence Committee Chairman Mike Rogers said that the strike was coordinated. Washington, Aug. 30 : US Republican Senator John McCain criticized President Barack Obama's record and argued that the United States should maintain an aggressive foreign policy. The Arizona Senator, speaking at the Republican National convention, accused Obama of leading the nation `away from our proudest traditions of global leadership' during his tenure as president. Washington, Aug 16 : Senator John McCain has said that it ‘might be wise’ for President Barack Obama to remove Vice President Joe Biden from the Democratic presidential ticket and replace him with Secretary of State Hillary Clinton. “I think it might be wise to do that but it’s not going to happen obviously, for a whole variety of reasons,” McCain said in an interview. 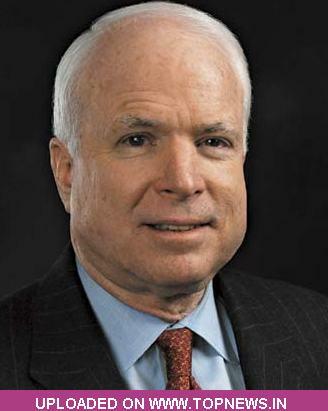 Washington, July 18 : American Senator John McCain has said he chose Sarah Palin over Mitt Romney as his running mate in the 2008 presidential elections, because the former Alaska governor was a "better candidate." McCain said choosing Palin had nothing to do with Romney's tax returns. According to The Politico, McCain received over two decades worth of Romney''s tax returns, as the former Massachusetts governor was undergoing the vetting process four years ago, far more than Romney has released publicly in the 2012 campaign. Washington, June 16 : Leading American Senator John McCain has reportedly slammed the Obama administration for damaging the relationship between Washington and Islamabad. McCain, the top Republican on the Senate Armed Services Committee, also accused the administration of `antagonising the Pakistanis' with an `in your face attitude'. He said the administration's encouragement of India taking a more active role in Afghanistan while simultaneously slamming Pakistan could be a `recipe for disaster'. Washington, May 28 : Senator John McCain has condemned President Barack Obama''s foreign policy and his handling of the Syrian crisis. 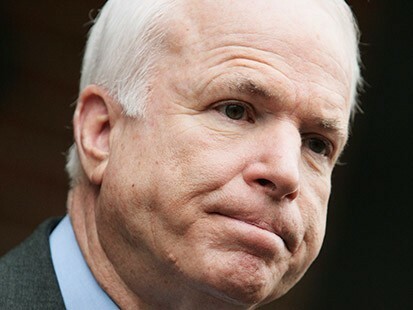 "This administration has a feckless foreign policy that abandons American leadership," Politico quoted McCain as saying. "It cries out for American leadership; American leadership is not there," he added. 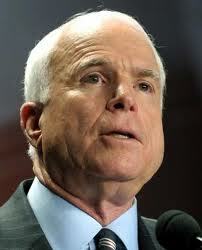 McCain also condemned Obama for handling the human rights crisis in Syria. The Arizona Republican called the U. S.''s response to Syrian President Bashar al-Assad''s killing of civilians a "shameful episode in American history." 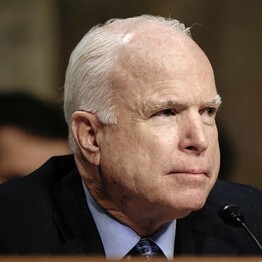 Washington, May 24 : U. S. Senators John McCain and Carl Levin, the chair and ranking members of the Senate Armed Services Committee have said the U. S. should not pay up to 5,000 dollars per truck to Pakistan, which McCain termed as "extortion", to resume NATO supplies into Afghanistan through its territory. "We can''t look at aid in that light. 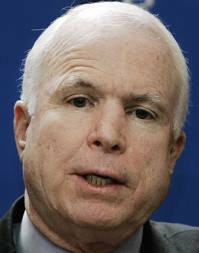 It is now becoming a matter of principle," The News quoted senator McCain, as saying. 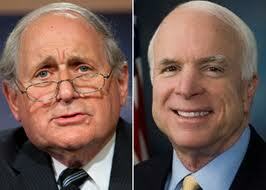 Senator Carl Levin said the U. S. should not pay Pakistan fees anywhere near that level, the paper states.